TMDL stands for the Total Maximum Daily Load of a specific pollutant that a specific body of water can tolerate and still meet water quality objectives. Depending on the context, TMDL may refer to the numerical target for a specific pollutant in a specific body of water (not necessarily a daily amount), to an alternate water quality objective, or to the mandated program for achieving the numerical target or other objective. Here in the Newport Bay watershed, the anticipated future costs for mandated TMDL programs is likely to be several hundred million dollars. TMDL compliance is therefore a huge issue for the municipalities in the watershed, and those living or doing business in those municipalities. In the past there has mostly been a benign, reactive approach to compliance with individual TMDL requirements. More recently all affected parties have begun to see the need for a more proactive, integrated and long-term approach to compliance with realistically achievable TMDL requirements. The Newport Bay Conservancy (NBC) is committed to helping further this approach. The TMDL development process is defined in the federal Clean Water Act (CWA). States are required to publish and update lists of water bodies such as lakes, streams and coastal bays that have impaired water quality because of the presence of one or more specified pollutants that cannot be reduced sufficiently by control of point sources. “Point sources” are clearly identifiable sources of pollution such as discharge pipes from industrial facilities; “non-point sources” are the multitude of unspecific sources, such as street runoff, that are harder to identify and/or control. Impaired water bodies are required to be ranked by the states according to priority for TMDL development. For each pollutant for each water body, the specific water quality criteria for the beneficial uses of the water body must be identified. Beneficial uses may include swimming, fishing for human consumption, wildlife protection, etc. In the case of chemical pollutants, water quality criteria may be pollutant concentration in the water or in the tissue of fish, etc. For other pollutants some other measure of impairment must be established. Based on the water quality criteria, the total amount of the pollutant that can enter the water body without impairing the beneficial uses must be established. All of the sources of the pollutant must be indentified and a plan established to allocate loads, control the sources and to monitor progress in achieving water quality objectives. In California the identification of impaired water bodies and development of TMDLs is done by the Regional Water Quality Control Boards. 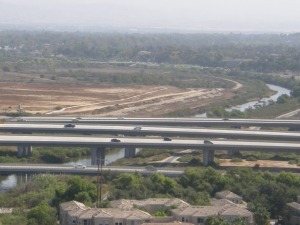 The Newport Bay Watershed is under the jurisdiction of the Santa Ana Regional Water Quality Control Board, which has a strong reputation for working collaboratively with stakeholders in implementing practical regulations to gain achievable results in reasonable timeframes given the recognized technical and financial constraints. However, TMDL development and implementation is subject to oversight of the federal Environmental Protection Agency (EPA) which is required to approve the listing of impairments and the development of TMDLs by the states, and to impose pollutant limits and schedules for compliance if state actions are deemed inadequate. EPA also recognizes the difficulties faced in implementing certain TMDLs. But it too is constrained by court actions to enforce an aggressive approach to TMDL development. California is currently operating under three consent decrees, including one covering several pollutants in Newport Bay and its tributaries. Given the growing costs of TMDL implementation and the shrinking financial resources of the cities and other entities responsible for TMDL implementation, NBC believes that informed discourse is needed between all stakeholders on TMDL priorities and consolidated implementation and funding, and is working to help initiate the discourse. * From latest list published by the State Water Resources Control Board in 2007 in accordance with Section 303(d) of the CWA.